I want to start by saying Happy Lunar New Year!! I tend to find this celebration more exciting than my own birthday or even Christmas LOL because it means a lot to me and my family - ah, the good old family tradition of a gathering and a feast, and who could forget about them red pockets/li xi :D Whether you celebrate it or not, I wish everybody good luck and good health (and wealth hehe). The product has a really long name and to make things easier I'm going to call it 'Tony Tint'. 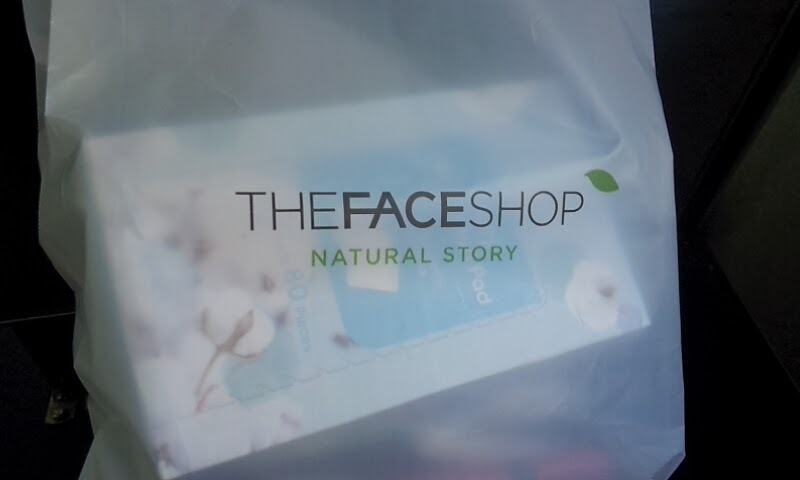 This was a sample product that was in my recent Beauty Net Korea haul (see my previous post) and it's a product that I've seen and heard about before. I have to admit that I'm not a big fan of lip tints, simply because I prefer to use something that feels moisturising on my lips. But I must say that I love the way lip tints look on the lips! 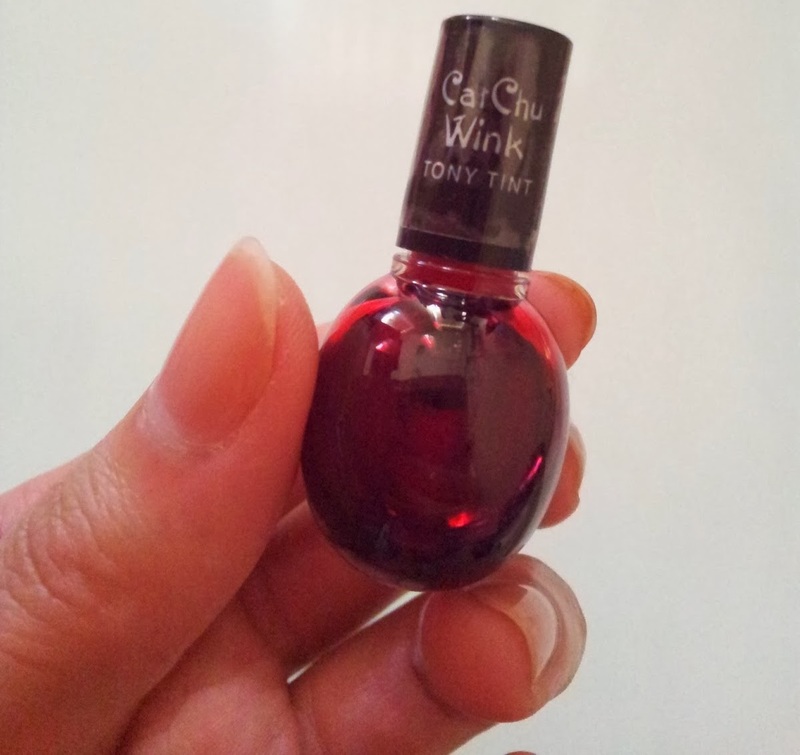 The one that I have is the sample of the first one, #01 Cherry Pink (체리핑크) and even by just looking at it through the plastic, it definitely reminds me of a cherry! Overall, I would recommend this product if you want to achieve gradient lips and/or if you want your lip colour to stay on longer. If you're worried about this not being as moisturising as lip balm or lip stick, you can simply apply some clear gloss or balm and you're all good to go! Disclaimer: Product was a free sample from an order purchased with my own money. This is not a sponsored post, nor am I affiliated with any of the companies mentioned. All opinions stated by me are 100% honest. Hi everyone! It's been pretty quiet here since last year... and by that I mean, a month ago when I last blogged and when it was still 2013. A very very belated Happy New Year! Has 2014 treated you well so far? In China we went on shopping tours (not shopping malls - visited stores that specialised in selling either pearls, silver, jade, silk and more) which were extremely tiring. I can actually imagine it being very similar to musos touring countries. We had a schedule each day and we'd have morning calls (letting us know that it's time to wake up) at around 6 or 6:30 am and a set time that we had to get on the bus and leave the hotel. Plus we weren't able to go to bed that early each night as we would be out until 9 pm sometimes. Getting into this 'sleep early, wake up early' pattern was difficult for me as I'm usually a late snoozer, and it takes time for me to get used to sleeping on a different bed and in a different place. It didn't really help that we changed hotels almost everyday while visiting different cities. I had a lot more fun in Hong Kong as I didn't get sick, we got to explore on our own and I had no schedules. I was able to rest and relax. Generally I enjoyed being there more than being in China where there was lots of air pollution and no access to my favourite social media sites. I could go on but I reckon I'll leave it there! I have also uploaded all of my pictures on my Facebook. I've made the album public so if anyone's interested in having a look, go for it! 630 images. While I was in China and Hong Kong, I was most keen on finding Asian cosmetics to purchase as they tend to be cheaper than online or instore over here. 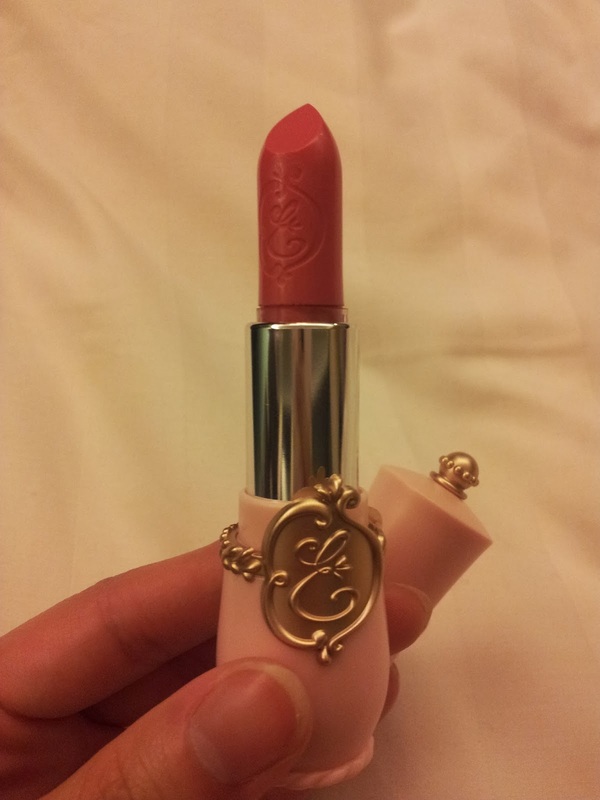 And who isn't drawn to the cute/pretty packaging that these cosmetics have?! While being overseas, all of the cosmetics that I bought were from Hong Kong, mostly in Mong Kok. As I was on a shopping tour in China, there really wasn't any time to do our own shopping in any shopping malls/districts. Being in Hong Kong for just 5 days wasn't enough and I wish we could have stayed longer! I wasn't happy with how little my haul was so I made up for it by... shopping online after coming back! I had left over HKD which I exchanged, banked and used to spend online haha. 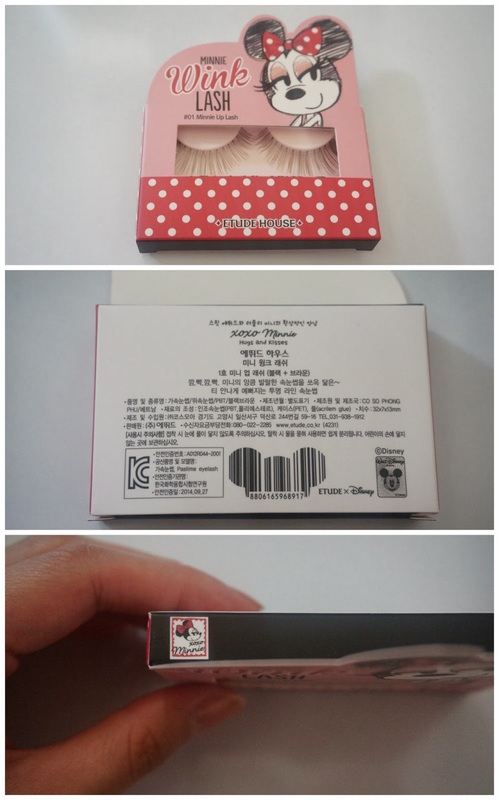 Items from Sasa and Etude House. Not a lot as you can see! A beauty blogger like myself to come back from Asia with only that many Asian cosmetics... wowee. Definitely the smallest Asian cosmetics haul from Asia that I've ever seen online. This was one trip to Etude House and I was hoping to make a couple more trips but due to time constraints it wasn't possible. Also, going with a large group was hard and we'd have different interests of where to shop and what to do. Because of my situation, I am just glad that I was able to do a bit of shopping in a shop that I had wanted to visit in so long. The Etude House shop in Mong Kok didn't seem very updated as it didn't have any of the new ranges and still had older limited edition ranges to sell and clear out. But of course this must be because Etude House is Korean and it probably takes longer for stores outside of Korea to get their hands on the new limited edition items. Being the cheap, bargain-hunting Asian that I am, I purchased items from the 40% off sale as there really wasn't anything that I really wanted to buy. I think I already have enough cosmetics! These were so cute (this is probably going to be the reason/description I'll be giving to every single product) and I fail at nail art designs so I thought, why not have some pre-made designs to simple stick-on. Also I could tell that these nail sizes would fit my petite nails really well! 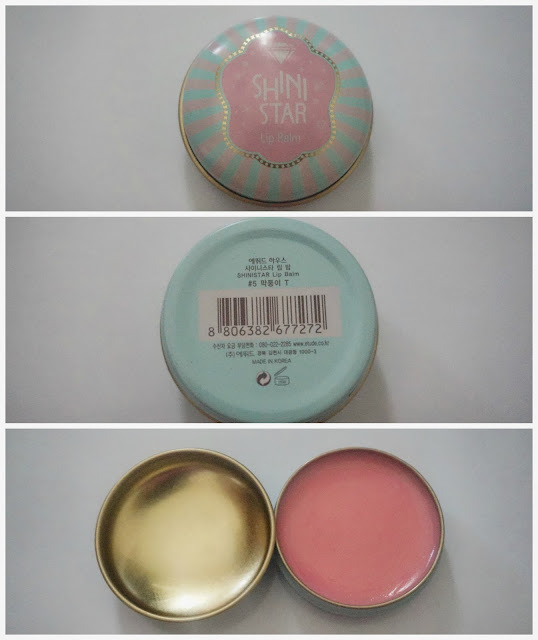 This limited edition Shini Star lip balm endorsed by boy group SHINee is no where to be found online and there weren't many left in one of the Mong Kok Etude stores. Limited edition and limited stock indeed! This is Taemin's choice of fruit flavour (guava) and it smells so delicious! There's a flavour/colour for each SHINee member and I regret not grabbing more/all of these. It's very glossy and leaves a subtle tint of colour. 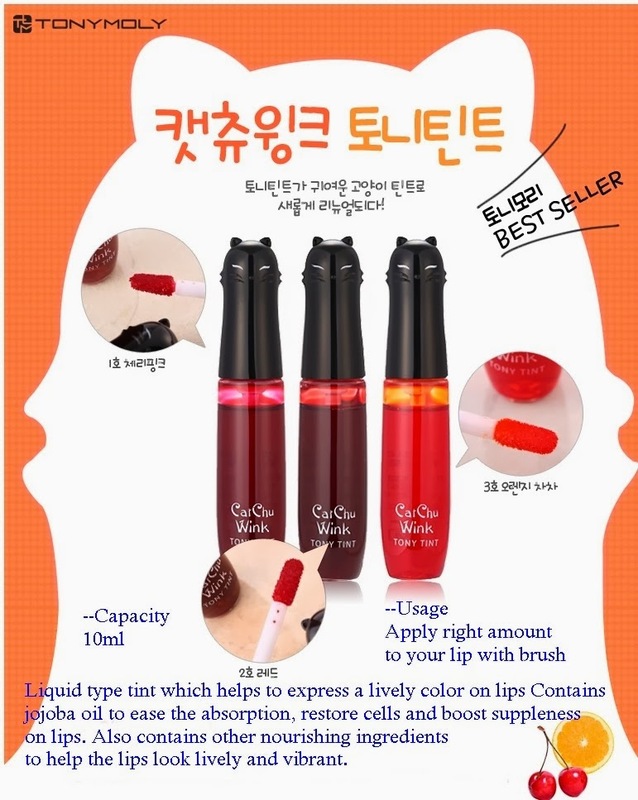 Etoinette Crystal Shine Lips #PKK003 is this gorgeous rose pink colour which is suitable for daily wear. I'm in love with the design - it surely makes me feel like a princess. The colour is more on the sheer side with some shimmer. The scent is pleasant and this lipstick is definitely one of my favourite lipsticks right now. An egg-shaped lip balm! I have this slight obsession with lip balms these days, I have plenty of them yet I still keep buying more! To me it's an absolute necessity and I hate having dry, cracked lips. Doesn't it remind you of another lip balm, one that is more well-known? 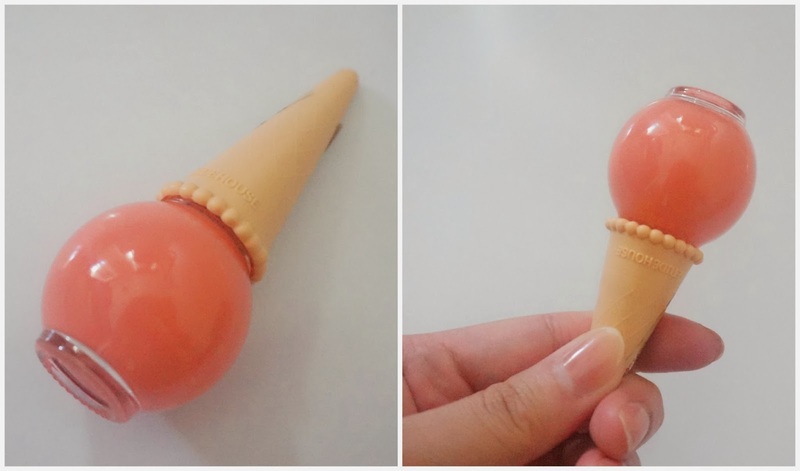 Yep, it's just like the EOS lip balm which I haven't used before but when I saw this in the store I was thinking, "cool, it must be very similar!" I can't do a comparison of which is better however I can say that this lip balm goes on smoothly and smells delightful - a light peach scent. And all orders get free samples. I love samples! 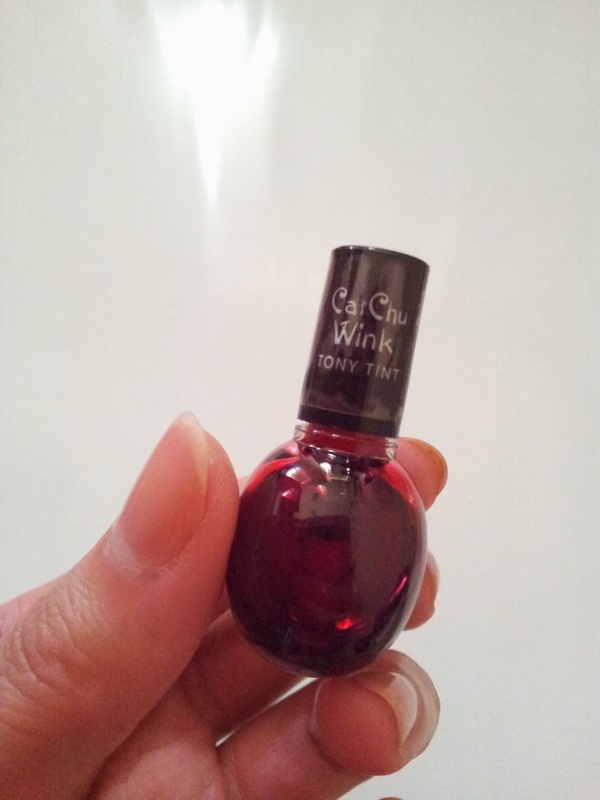 Tony Moly Cat Chu Wink Tony Tint sample - good for a red lippie! A better alternative to mascara I reckon! 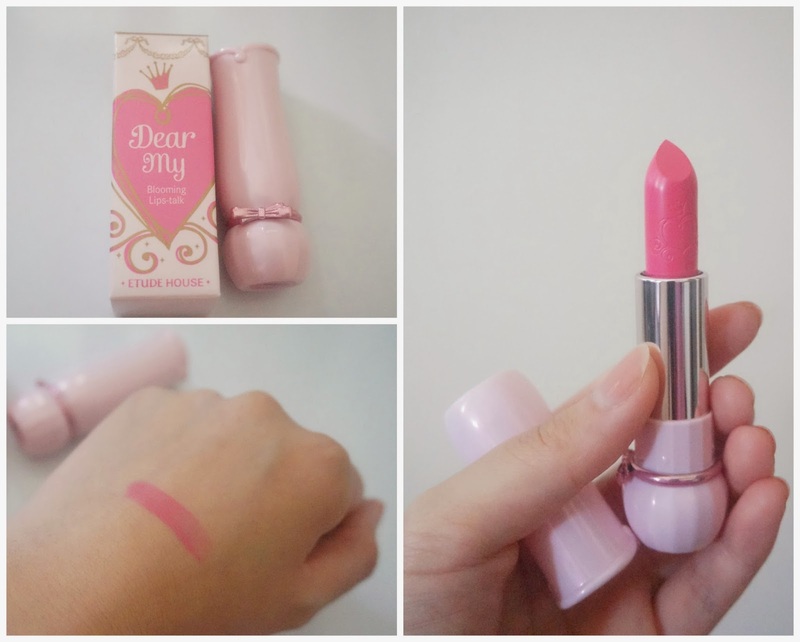 Another cute pink lippie from Etude! 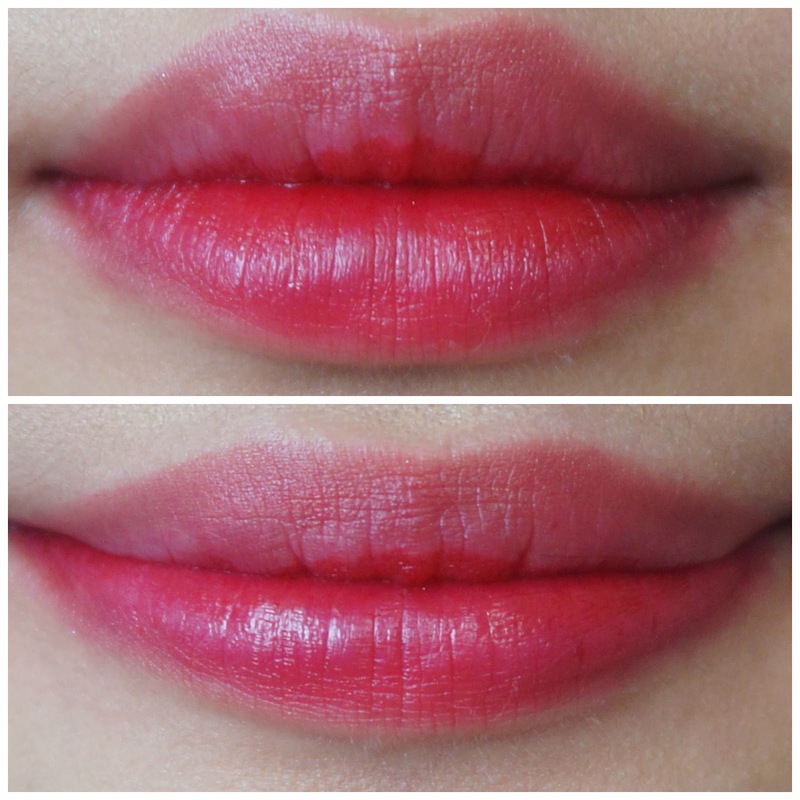 Dear My Blooming Lips-talk in PK013 - a colour I'd wear for special occasions. I've always wanted to get one of these highlighters. 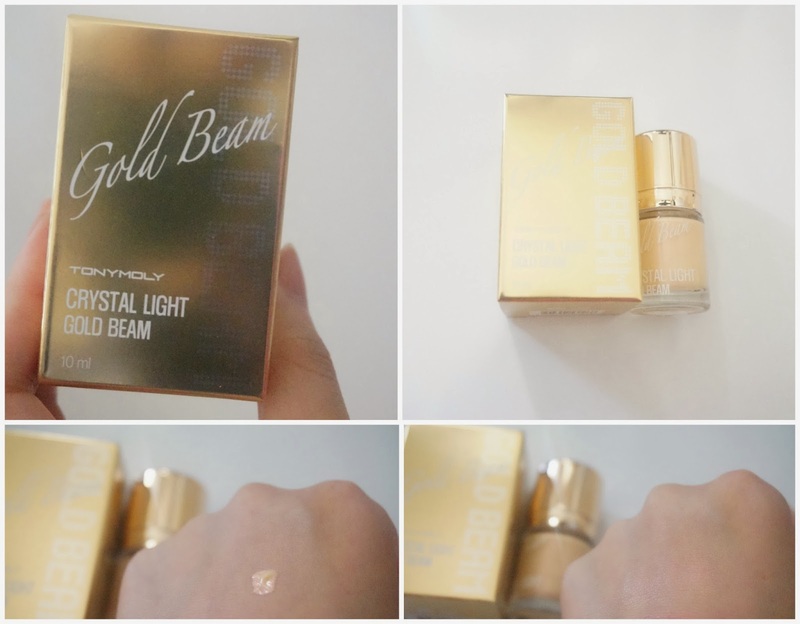 How shiny is the box and packaging of this Tony Moly Crystal Light Gold Beam, oh my goodness it's stunningly blinding! 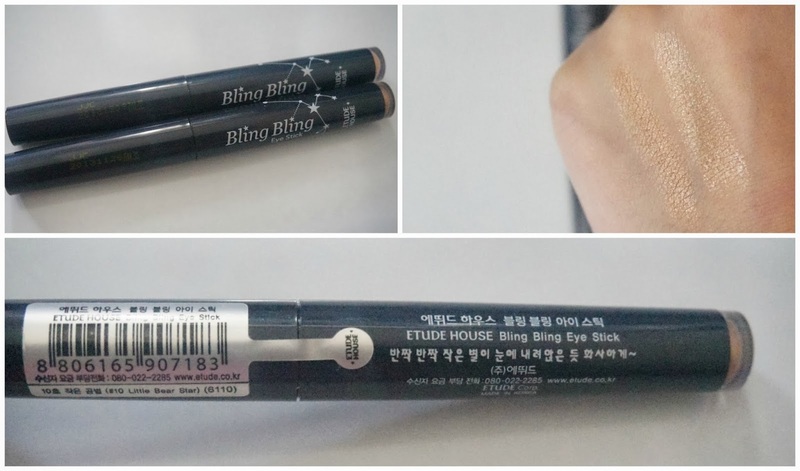 It reminds me of the popular Benefit High Beam however this is much more affordable. It leaves a subtle finish which is perfect for me because I'm still new to highlighting and contouring and I don't want to end up looking too sparkly/shiny! 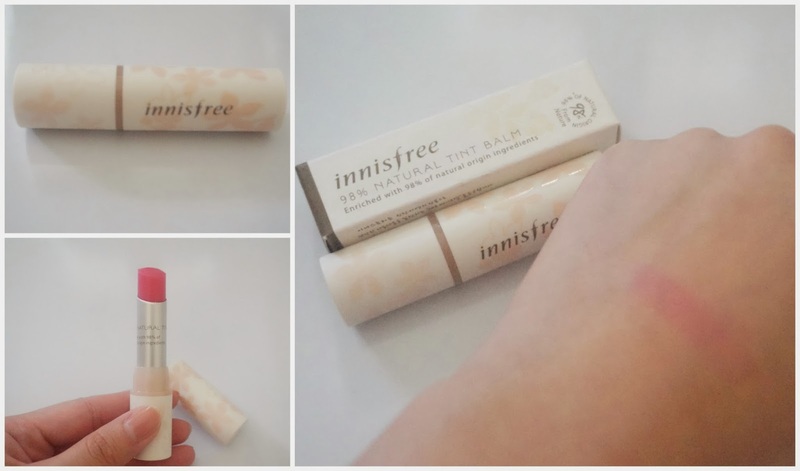 What did I say before about being a lip balm freak :P Here I go again with purchasing yet another, but it's not as though I regret it or anything - this is the Innisfree 98% Natural Tint Balm and it's prettiest stick lip balm I've owned and it smells like candy *_* I tend to be more of a fan of tinted lip balms than regular lip balms because sometimes I want both moisture and colour and regular lip balms and lipsticks can't do both for me. It's like a 2-in-1! I've never used any of these eyeshadow/shimmer sticks before so I thought I'd try them out. 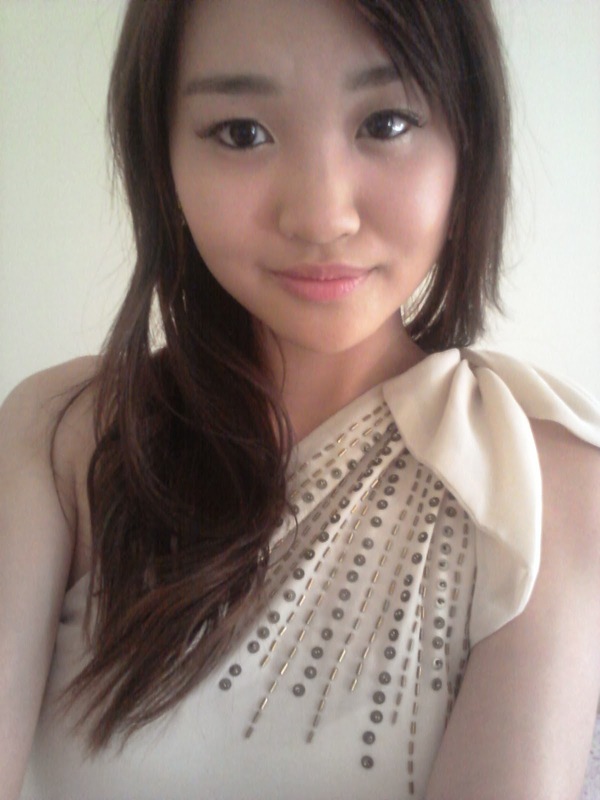 Also, I noticed that they're used by Korean singers and actresses and their eye makeup always looks gorgeous. I'm happy to have purchased these because they glide on really smoothly, making it incredibly easy to apply! Disclaimer: All products were purchased with my own money. This is not a sponsored post nor am I affiliated with any of the companies mentioned. All opinions are 100% honest. A 23-year-old who loves beauty, fashion and all things pretty. 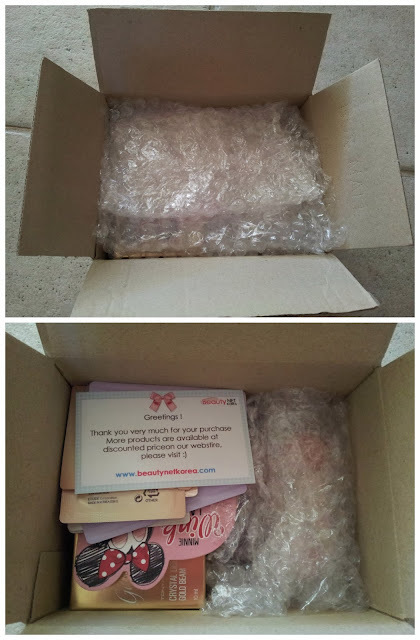 Can't get enough of cute packaging. Adores cats.